Dogs and cats top the list of all pets in the world. They are wonderful companions and they keep us entertained whenever we are around them. 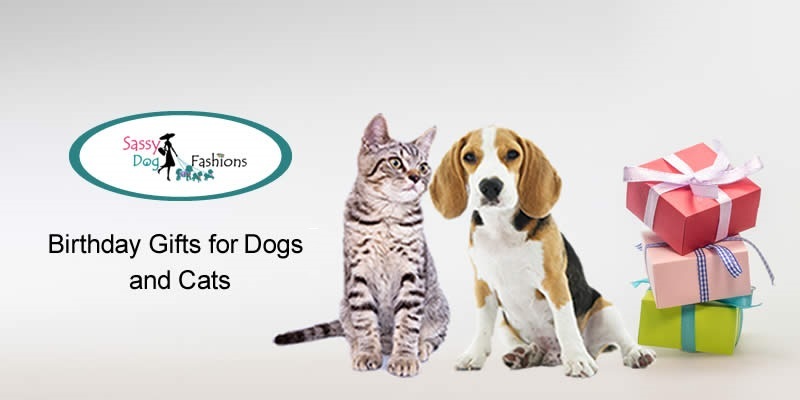 Pets, especially dogs and cats, are part of the family of those who have them and it is important that they receive good attention and care just like every other member of the family. As humans, we look forward to our birthdays with excitement and we expect to receive gifts from our family and our friends, but dogs and cats do not know if there is anything called a birthday; however, we can make their birthdays an exciting day for them by getting them lovely gifts. You can buy any gift that you know your dog or cat will love; however, there are some gifts that they will love more than other pet gifts. Also, a lot of gifts for dogs and cats will make them look fashionable and make them stand out anywhere they are. If your furry friend walks well on a leash, this standard collar may be all he needs. This collar is absolutely pawsome and great for walking and training your dog. Gift a Furberry Plaid Dog Collar to your furry members of the family. Check out the Furberry Plaid Dog Collar. Do you know? Dog Bow ties are not just for weddings anymore. Dogs are shaking their bow ties every day. This is the perfect accessory to your pup’s wardrobe! Gift this Furberry Plaid Bow Tie and don’t let your pooch left out. Make your dog stand out with Pet Threads’ cute and smart designs on his Birthday! 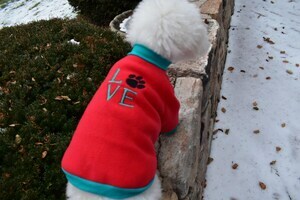 Here is the cute & long sleeve red fleece T-Shirt Pullover. This T-shirt keeps your dog warm and cozy on Birthday and throughout the year in cool weather. 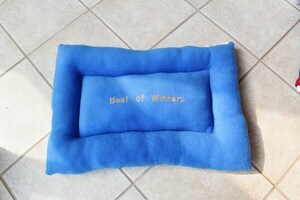 Looking for something special gift for your four-legged special friend? A bandana is a perfect gift accessory for your dog to wear. 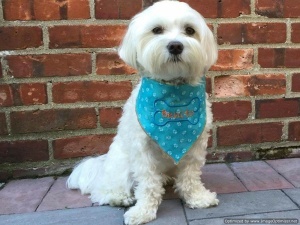 There are plenty of dog bandanas in the market, but we think that the Sassy Dog Fashions’ Personalized Dog Bandana collection is a lovely, chic option for your four-legged buddy. 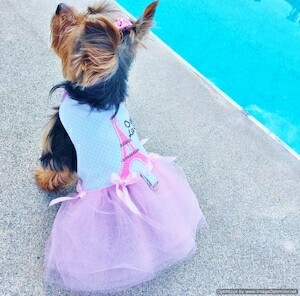 Brighten up your Pup’s Birthday with this Bella & Friends La Parisienne Pink Couture Tutu Dress. It’s the perfect Birthday gift for your Yorkie or Chihuahua. Get your dog the gift of LOVE for her & Sparkle it up on her Birthday! Spoil your pooch with custom reversible ergonomic Dog Crate Pet Pad Mat. Excellent gift choice for dog lovers. Crate pads turn your doghouse into a cozy hideaway. They are reversible and come with a contrast color on the back. Pick from 15 fun premium anti-pill fleece colors. Order an ergonomic Crate Pet Pad Mat Today!